While doing some spring cleaning, I came to the conclusion I have a ton of rice. When I told Carla this, she remarked, “We do? But we never eat rice.” This is true. We had about 5 types of rice, each one with only about ¼ or ½ cup missing from the bag. Clearly, something needed to be done. In thinking about it, I went to Wild Fermentation by Sandor Katz, and came across a recipe for miso. 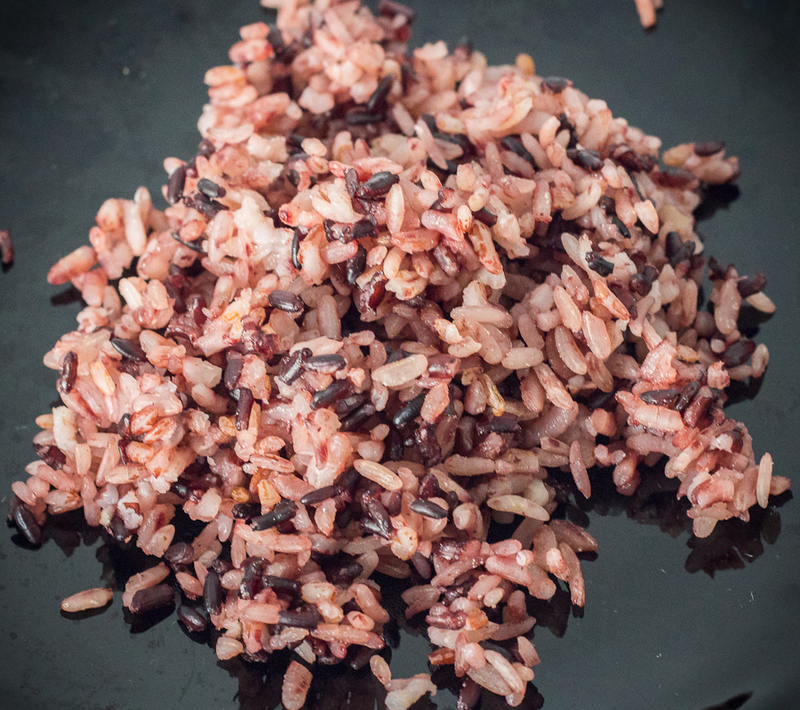 Miso is actually a bean ferment, but it involves a lot of rice as well. After doing a bit of measuring, I was set: I was putting up a two gallon crock of miso. Miso is traditionally thought of as a soy product, but it gets a lot of its distinctive flavor from rice. Moldy rice to be exact. Really - this is also how they make sake. To get the starch in the rice to convert into a sugar, you need to inoculate them with the mold Aspergillus oryzae. This beneficial mold activates enzymes that allow the conversion of starch to sugars. It’s a similar process to malting barley for brewing beer, except that you need mold to help the rice along, while barley is just allowed to sprout, and is then roasted, which activates it's starch/sugar enzymes. 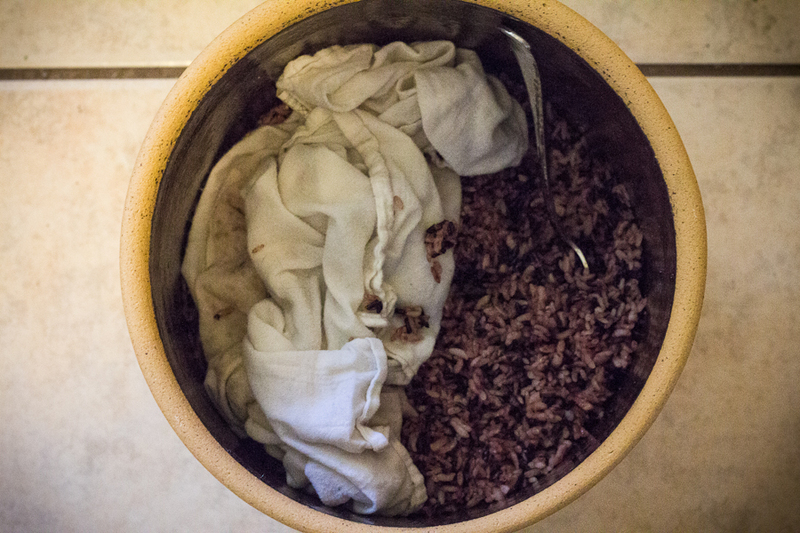 Making Miso is easy, but making the moldy rice (called Koji-kin) is really hard. 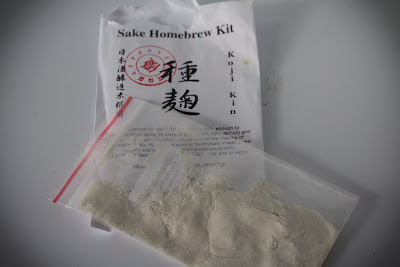 Reading about it, I think I was still in "brewer" mode, which explains my issue in getting the rice mold to start growing. In one forum a miso-enthusiast remarked that it’s wrong to think of growing mold in the same way as cultivating yeast for beer. While yeast will grow and multiply quite easily, mold needs to be held at a certain temperature and humidity for quite some time, so it can mature to its spore stage and reproduce. It’s much trickier and requires much more diligence and attention to detail. With yeast, the little bugs are just going to keep multiplying so long as there’s food – perhaps slower if it’s cold and faster if it’s warm, but they’ll keep chugging along. But I think I finally got there. After about 3-4 days of tending to my koji rice and finding a sweet flavor and cheese-like aroma I mixed it with thoroughly cooked (nearly mushy) soybeans and steamed rice. Then I made a strong brine of salt and the beans' cooking water and packed it into a crock with more salt smeared across the sides and bottom. This thick paste was then weighted down and covered. In about a month I’ll overhaul the miso, bringing the bottom layer to the surface, and pushing the bottom under. One side-product of the miso is that it’ll produce a salty, dark liquid on top called tamari, which can be used just like traditionally brewed soy sauce. Today the miso crock is sitting in a dark closet. It’ll stay there for about a year, although one fascinating facet of miso is that the age is measured in summers, which is the time of the most fermenting activity. So if I crack it open next fall, it would be considered a two-summer miso, even though it would be less than two years old. But either way, that gives me plenty of time to devise what to do with two gallons of miso.